I unexpectedly had the day off today, so I decided to take advantage of the sales that every store seemed to be having. 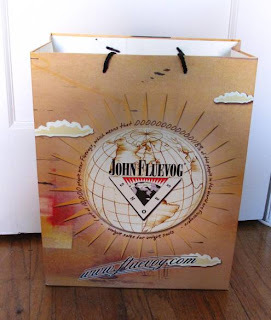 After making this decision, I found out that Fluevog was having it's annual "John Fluevog Thinks You're Awesome Sale" with selected shoes up to 60% off! 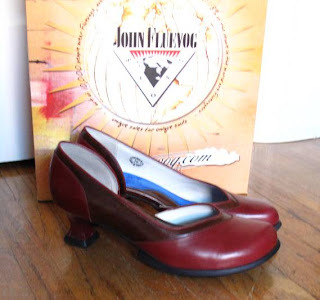 Can you believe that I have living in Toronto for almost 10 months and I have yet to visit the Fluevog store? Clearly this needed to be rectified and today was the day! I got to the store about 30 minutes after they opened and it was packed (by which I mean that there were about 10 people in there; it's a small store). I did the rounds, grabbing any shoe on sale that caught my eye, including this one and this one and this one. After catching the eye of a harangued salesman, I tried them on and quickly discovered that the pointy toe style did not fit well (It hurt!). Then I tried this one on. It was love! 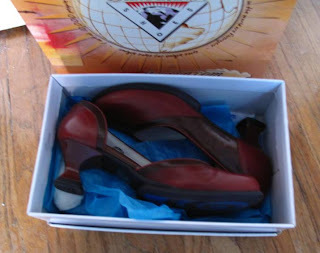 I briefly strayed, trying on a Mary-Jane version, but I kept coming back to the cherry shoes. After prancing around the store in them for a while I declared them the winner and pulled out my credit card. The picture on the Fluevog website is so dark and doesn't truly show off their beauty so I had to create a photo montage for you. The funky Fluevog bag; even Pete was impressed by it. The shoes all nestled together in their box. Look at how sweetly they pose in front of the bag. 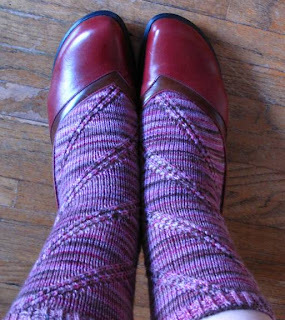 And how perfectly they complement my Koigu Anatasias, or how the socks complement the shoes! 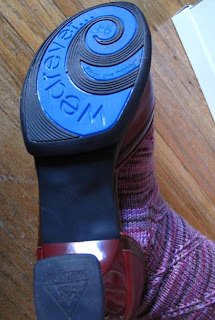 And for the true Fluevogian, a picture of the sole. Sorry for the disappearing act. My grandmother was unexpectedly hospitalized a few weeks ago so that took precedent over everything else going on. After being rushed into surgery, she has been recovering nicely and actually got released from the hospital after only a week. Pretty good for a 92 year old lady. I went to stay with her and my uncle for a few days to help look after her. It was so great to just hang out, visit, and do crossword puzzles for days on end. Granny is now well on her way to a full recovery. Talk about a tough old bird (in my dad's words). Back to Halifax. We were thrilled to discover that this old city has its share of creepy sites. St. Paul's Anglican Church is in the heart of Halifax. 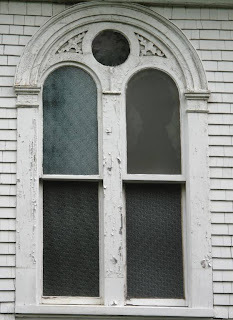 It's the oldest Anglican church in Canada, having been built in 1750, and it has a very interesting window. If you look at the upper right-hand pane of glass (click to make bigger) you can see the silhouette of a figure. The story goes that after the Halifax explosion (in 1917), which blew up most of the windows in town, this one pane of glass was left intact and the silhouette of a man was now imprinted on the glass. There are many stories to explain this, including that it is the image of the person who stood in front of the window during the explosion (despite the fact that the figure would have been a giant to fill the window like that) or that it was the silhouette portrait of one of the founding figures of Halifax. Whatever the truth is, it's pretty darn creepy. Speaking of creepy, Pete and I discovered the coolest cemetery we've ever been in (and we like our cemeteries). 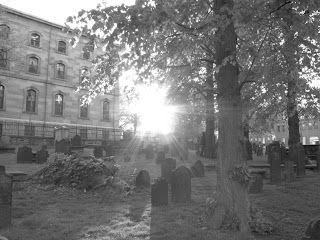 This is the old burying grounds in Halifax which was in use from 1749 to 1843. 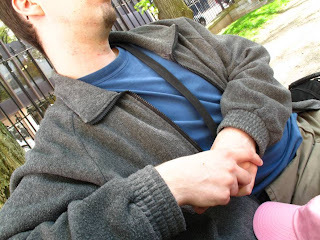 Pete had fun taking ethereal pictures there while I wandered around reading people's stories. It was a great way to spend an evening (yes, we are weird). 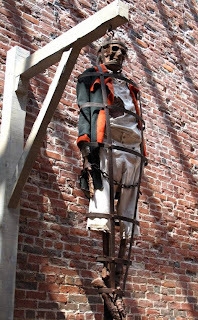 In the Maritime Museum there is a statue of a man whose gaze is said to follow people as they walk by him. The museum had to move the statue from its original location (looking down into the atrium) because people were complaining. Try as we might, Pete and I didn't catch him looking at us. We stayed at the Garden View B&B which was about a 30 minute walk from downtown, and a lovely facility and good value. We got fresh fruit crepes for breakfast every morning. Yum! The Maritime Museum was a great way to spend an afternoon. It has exhibits on the Titanic and the Halifax Explosion that are both educational and extremely moving. Speaking of educational, you cannot miss visiting the Citadel (seriously, it's in the middle of town). It was a lot of fun and has a pretty amazing history. If you want to spend some time on the ocean, go to Murphy's on the Water. 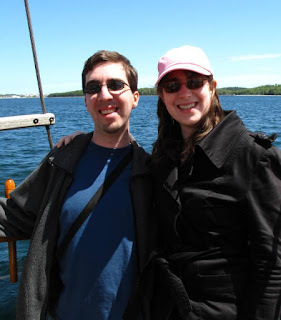 We did both their whale watching tour (sadly didn't see any whales) and their pirate cruise on the tall ship. Both were thoroughly enjoyable. We also had dinner at their restaurant which was a little pricey but the view couldn't be beat (we were literally on the pier looking straight out at the harbour). Another place we really liked was the Economy Shoe Shop which, believe it or not, was actually a restaurant. The food was amazing. Go there! If you have a sweet tooth, definitely check out Sugah! They have lots of handmade chocolates and delicious ice cream. I recommend enjoying it while sitting on the pier looking out over the harbour. 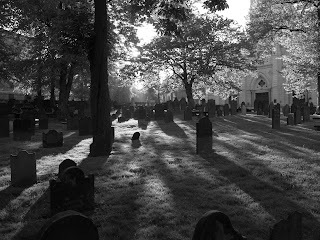 If you like old cemeteries, you can't miss the Old Burying Ground at Springbank and Barrington. I think that's everything. If I remember something else, I'll add it later. 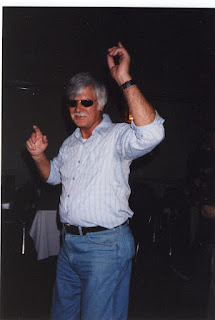 For now I will end by wishing my dad a very happy birthday! I'm glad you all enjoyed the first set of pictures from Halifax. Here are some more. Pete and I both love the ocean so we made a point of spending as much time on it as we could. 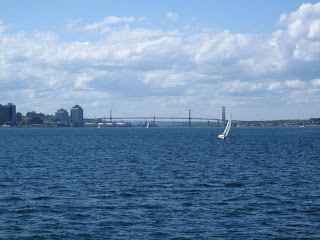 On our second day in Halifax we went on a nature tour which took us through the harbour and out into the open water. Here's a picture of the pier as the boat pulled away. 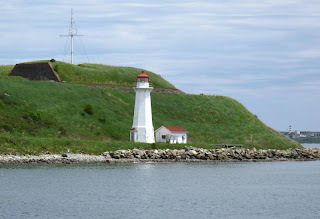 This is Georges Island in the harbour which will hopefully one day be opened as a national park. You can see a part of the fort wall on the left. I don't know why, but I just love this little island. I hope it's open by the time we come back. 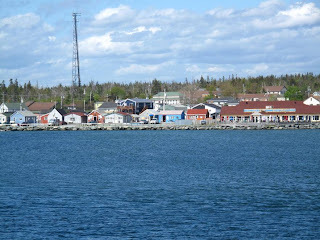 On our way back into Halifax we passed this picturesque little fishing village. I love the multi-coloured buildings. 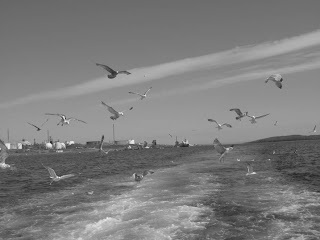 We didn't end up seeing any wildlife on our tour so the guides gave us a bucket of old rolls to throw at the seagulls. Those were some happy birds. 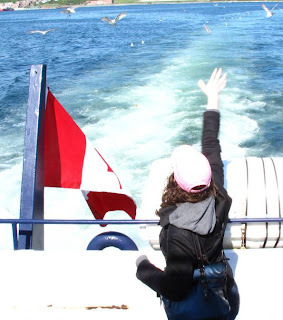 It was lots of fun to throw the bread and sometimes even see a seagull grabbing it in mid-air. 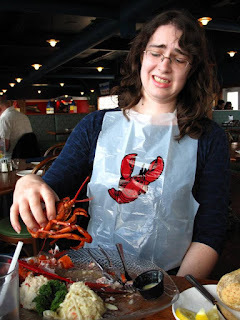 My goal while in Halifax was to eat my first lobster. After the tour, we decided to have dinner on the pier and I had my lobster. I'm not sure if I would order it again. It's very strange to have to destroy your food before you eat it. 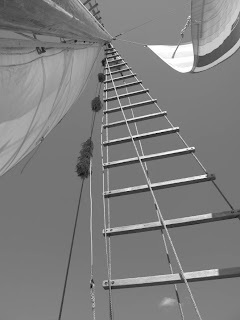 On our last day we got to go on a tall ship tour around the harbour. It was a lot of fun. 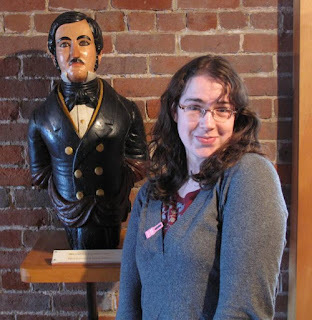 Photographic proof that we were in Halifax together. We were sad to say goodbye to Halifax. We had had a wonderful time there and will definitely be back. 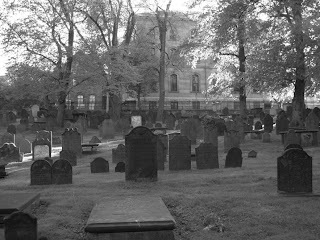 Up next, pictures of Creepy Halifax and my list of recommendations. 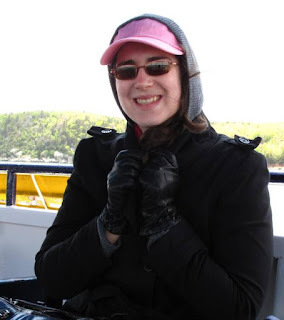 Well, we are back from a wonderful vacation in Halifax with very little knitting to show for it but a memory card full of pictures. Warning, the next few posts will be very picture-heavy (click to embiggen). 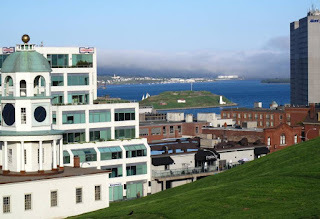 This picture was taken from the Citadel hill on our first night in Halifax. You can see on the left the clock tower which was built by Prince Edward in 1800. You can't tell from this picture but instead of showing "4" as "IV", it is "IIII" which apparently is more aesthetic, but it just looks strange to me. This picture was taken looking over the downtown core and out at the harbour. 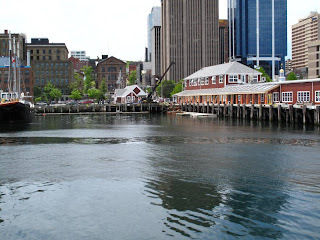 Halifax has the second deepest natural harbour in the world (the deepest being Sydney). The downtown is an interesting mix of old and new buildings. 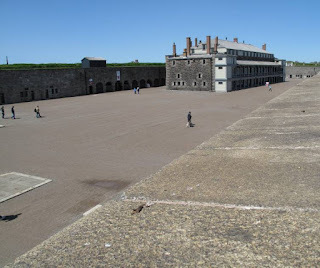 Through the buildings you can see Georges Island. I'll show a better picture of it later. 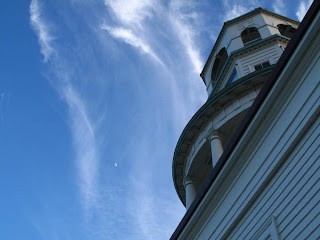 Here's an artsy shot of the clock tower. The white spot in the middle of the sky is actually the moon. Pete and I are a great team in many ways. I have a good eye for photographs but lack the skill to properly capture them. Luckily he has the eye and the skill. The last two pictures were a joint effort. 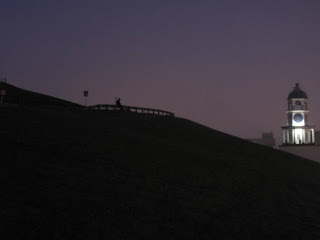 I like the purple sky and the lone figure sitting on the guardrail. 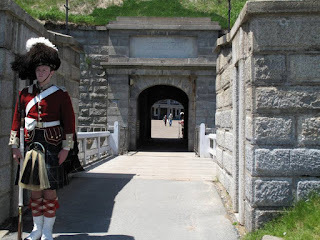 On our first full day in Halifax we went to the Citadel, which has been a military defense location since approximately 1750 when Halifax was first settled. The major threats at the time were the local Natives and the French. The fort was in constant use until the second world war. Now it's a national historic site with fun recreations. 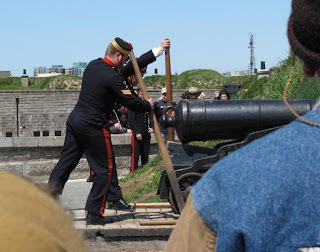 At noon every day there is a ceremonial firing of the cannon. These guys are wheeling the cannon to the edge of the wall. 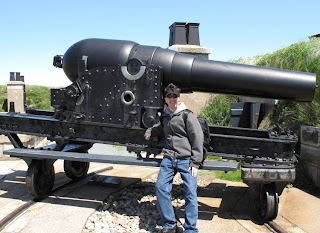 Here's Pete posing in front of one of those cannons. After exploring the Citadel, we went to the Maritime Museum. This jolly fellow was waiting to greet us upon our arrival. We got to see some figureheads of old ships, including this guy who Pete decided was from the "HMS Silent Film Star". 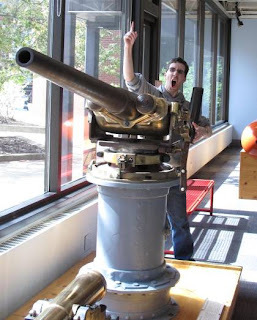 Pete got a little carried away while exploring the exhibit on modern ships weapons. I think that's enough for today. I'll try to put up more pictures tomorrow. Tomorrow Pete and I are heading off on an adventure. We're going to Halifax for 5 days! I've never been so we're pretty excited about it. 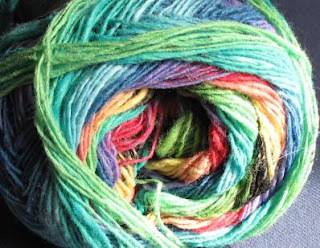 I'm looking forward to visiting museums, going whale watching (hopefully), eating lobster and fondling much Fleece Artist yarn. See you next week! 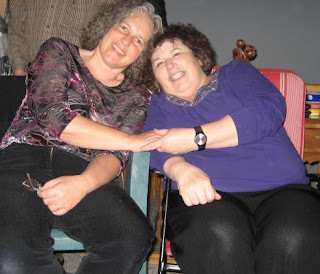 Last Thursday I was lucky enough to spend the day with two of my favourite women, my mom and my aunt Judith. In addition to dress shopping, I wanted to show Judith some of the hot spots in Toronto so I took her to Crispy Roll for lunch. Heather and Gen, she's from Seattle and is used to good sushi, and she loved Crispy Roll! I just wish I had a picture of the beautiful sushi. Judith is a knitter so after lunch we headed off to Romni. 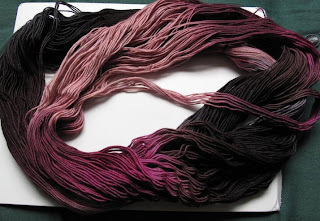 We had a lot of fun oogling the lovely yarns and Judith left with some stunning Manos Silk Blend to make a few Bainbridges. 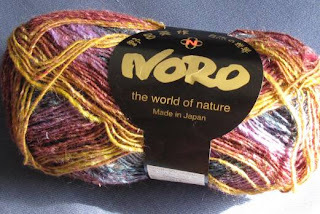 I don't have pictures of that but I do have pictures of the yummy Noro sock yarn that she bought me!! I love how different the inside is from the outside. Now I'm off to teach my five-year-old cousin how to knit. Wish me luck! And I'm back. Sorry for the unexpected hiatus. 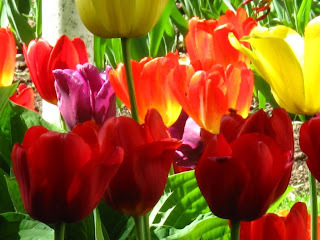 Sometimes life gets so busy that I can't even think about taking pictures, let along blogging. 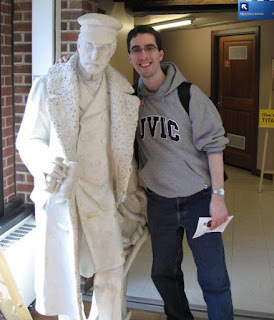 Here's hoping there is more blogging in my future. Speaking of the future, who knows what they are doing exactly one year from today? I do! I'm going to be getting married! 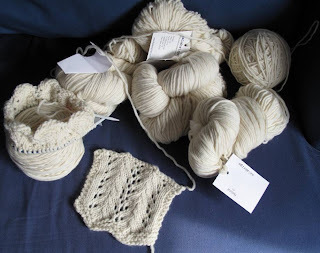 In honour of my pre-iversary, I am going to show some of the wedding knitting I have planned. 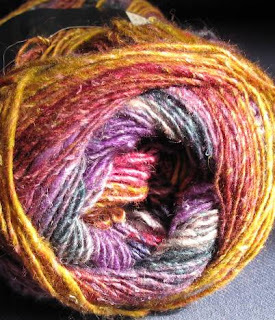 On the left is Seasilk left over from a shawl I made a few years ago. I think it will be perfect for my garter and my something blue. 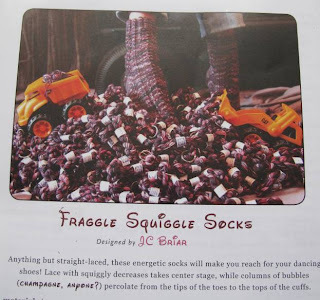 I'm going to use this pattern. 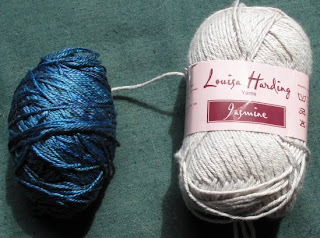 On the right is Louisa Hardin's Jasmine, a neat blend of cotton and silk with some sparkly stuff thrown in for good measure. Look at it sparkle! I'm going to make a little purse in which my mom will carry my rings. I'm having trouble deciding between the Generations Purse and Bride's Sachet Purse. Please leave me a comment to help me decide. ETA: The Mother has spoken and it shall be the Generations Purse. I might actually cast on tonight. 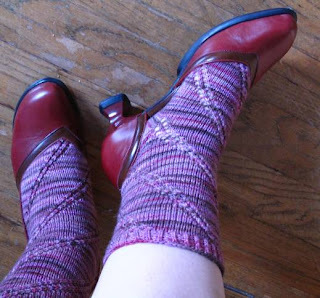 I have two large projects on the needles and it would be fun to do something fast. 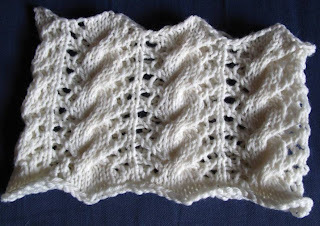 The only wedding knitting that I've actually started are the bridesmaid shrugs in glorious undyed Malabrigo Worsted. 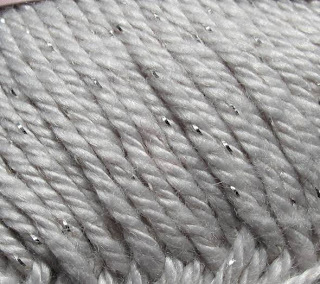 This stuff is amazingly soft but I'm going to have to be diligent and pick out all the cat hair. On the bottom is my swatch. Got gauge first try, baby! On the left you can see the beginnings of the first sleeve. Clearly I still have a lot of knitting ahead of me. I had a very relaxing Easter weekend. I did some training for the CN Tower climb, hung out with my adorable 5 year old cousin, and did lots of knitting while watching tv. It was bliss. 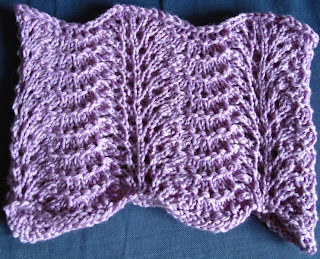 And I successfully knit three cowls! I am very lucky to have many great coworkers. 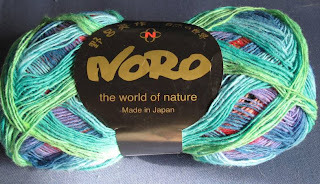 On Thursday I was suddenly hit by a desire to knit for three of them. These fine ladies have all at one time or another helped me through a rough patch and I wanted to show my appreciation through knitting. The first cowl took a while to get going. I tried 2 or 3 patterns before hitting on one that was just right. 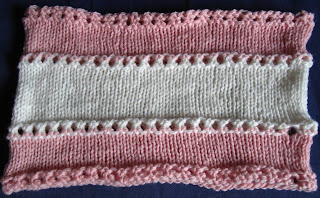 With the second cowl, I decided to use two different colours which resulted in a delightful strawberry shortcake effect. For my third and final cowl, I wanted something that look very impressive since I was giving it to my only knitting co-worker. Last day for the contest! Thanks so much to everyone who has sponsored me. I'm a knitter who loves the colour red and greatly enjoys Clue. 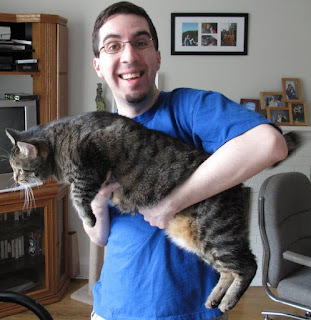 I live with my composer fiancé and our crazy kitty. 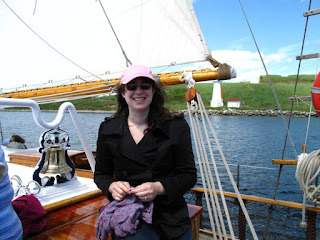 This blog is a chance for me to talk about my knitting, wedding planning, and life in general. 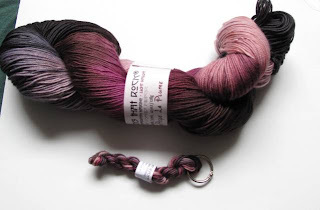 I'm on Ravelry as MissScarlet.